Today is the birthday (1895) of Juan Domingo Perón, Argentine military officer and politician. I’m deeply ambivalent about this post because there are a lot of things not to like about Perón. 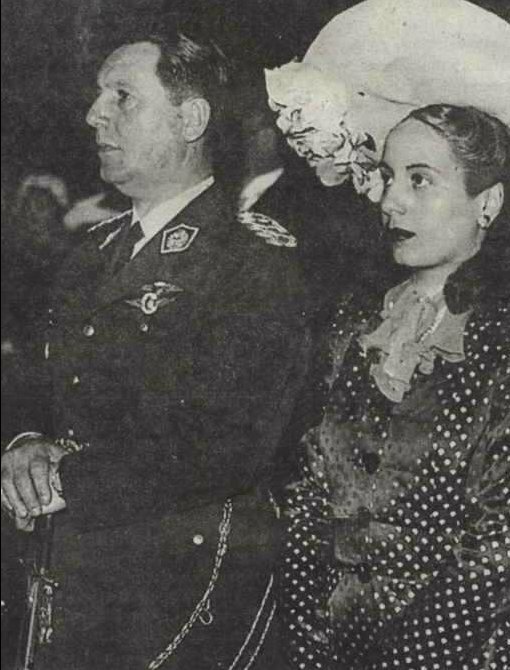 But he, and his second wife, Eva, are immensely popular in Argentina to this day, and his political legacy remains an important component of Argentine life. So, I am not going to talk about Perón as a person so much as his ideology and its long shadow in 20th and 21st century Argentina. Let’s make sure we put the bad stuff first, as is my wont when discussing difficult material. Perón sympathized with fascist countries. He was an admirer of Mussolini, and during his exile from Argentina after 1955 he spent the bulk of his time in Franco’s Spain. Yet, his respect for certain fascist ideas was not uncritical. He did believe in patriotic nationalism, but he did not believe in racism, nor in limiting immigration. From the outside it may seem paradoxical that in post-war years he welcomed Nazis and Jews, yet this fact is one small part of the complexity of Perón and Peronismo (his socio-political philosophy). I can’t say that I fully understand Peronismo (or Peronism) even now after years of trying. Nowadays there are right-wing and left-wing Peronistas (Peronists). The current government is Peronist, but it is nothing like the Peronist movement of the early 1950s. For me Peronismo is a very strange umbrella under which crowds a whole spectrum of political views. More than anything else Peronismo is a cult of personality more than a definable set of viewpoints – focused now more on Eva than Juan. The Peróns’ followers praised (and still praise) their efforts to eliminate poverty and to dignify labor, while their detractors considered them demagogues and dictators. Peronismo is also called Justicialismo, the latter name giving rise to the party name Partido Justicialista (Justicialist Party), ultimately derived from justicia social (social justice), one of the three “flags” of Peronismo. The pillars of the Peronist ideal, or the “three flags”, are social justice, economic independence, and political sovereignty. Peronismo can be described as a third position ideology, since it rejects the extremes of capitalism and communism. Peronismo espouses corporatism and thus aims to mediate tensions between the classes of society, with the state responsible for negotiating compromise in conflicts between managers and workers. It is, however, a generally ill-defined ideology; different, and sometimes contradictory sentiments are expressed in the name of Peronism. Today, the legacy and thought of Perón have transcended the confines of any single political party and bled into the broader political landscape of Argentina, therefore Peronists are usually described as a political movement. 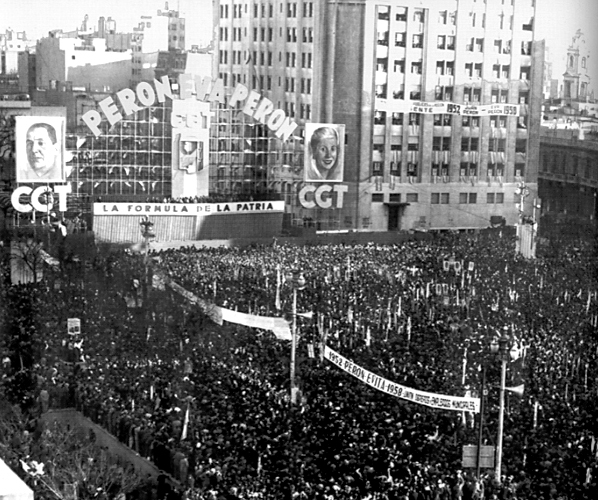 Traditionally the Peronist movement has drawn its strongest support from the working class and sympathetic unions, and has been characterized as proletarian in nature. From the perspective of opponents, Peronism is an authoritarian ideology. Perón was often compared to fascist dictators, accused of demagoguery, and his policies derided as populist. Proclaiming himself the embodiment of nationality, Perón’s government often silenced dissent by accusing opponents of being unpatriotic. The corporatist character of Peronism drew attacks from socialists who accused his administration of preserving capitalist exploitation and class division. Conservatives rejected its modernist ideology and felt their status threatened by the ascent of the Peronist apparat. Liberals condemned the Perón regime’s arbitrariness and dictatorial tendencies. Defenders of Peronism also describe the doctrine as populist, albeit in the sense that they believe it embodies the interests of the masses, and in particular the most vulnerable social strata. Admirers hold Perón in esteem for his administration’s anti-imperialism, and non-alignment, as well as its socially progressive initiatives. Amongst other measures introduced by Perón’s governments, social security was made universal, while education was made free to all who qualified, and working students were given one paid week before every major examination. Vast low-income housing projects were created, and paid vacations became standard. All workers (including white-collar employees) were guaranteed free medical care and half of their vacation-trip expenses, and mothers-to-be received three paid months off prior to and after giving birth. Workers’ recreation centers were constructed all over the country, including a vast resort in the lower Sierras de Córdoba that included eight hotels, riding stables, swimming pools, movies, and scores of cabins. Since 1946, Peronist candidates have won 9 of the 11 presidential elections that they have not been banned from participating in. As of 2015, Perón was the only Argentino to have been elected president three times. Perón’s ideas were widely embraced by a variety of different groups in Argentina across the political spectrum. Perón’s personal views later became a burden on the ideology; for example, his anti-clericalism did not strike a sympathetic chord with upper-class Argentinos. Peronismo is often regarded as a form of corporate socialism, or “right-wing socialism”. 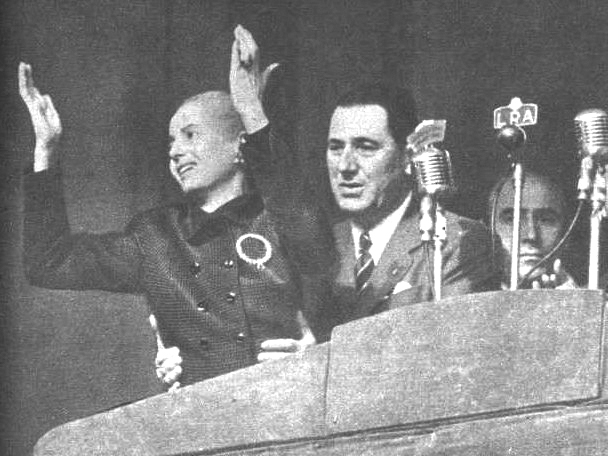 Perón’s public speeches were consistently nationalist and populist. It would be difficult to separate Peronism from corporate nationalism; Perón nationalized Argentina’s large corporations, blurring distinctions between corporations and government. 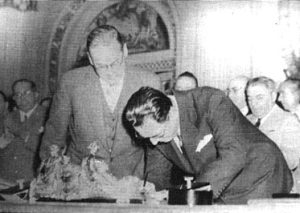 At the same time, the labor unions became corporate, ceding the right to strike in agreements with Perón as Secretary of Welfare in the military government from 1943–45. In exchange, the state was to assume the role of negotiator between conflicting interests. 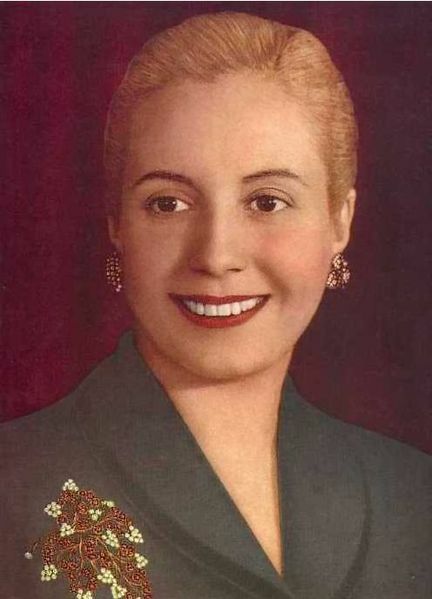 Now the unions are at odds with the current president, Cristina Kirchener, who likes to cultivate the image of Eva Perón as well as evoke the image of Peronist Argentina of the 1950s, but with none of the charisma or ideology. Perón and his administration resorted to organized violence and dictatorial rule. Perón showed contempt for any opponents, and regularly characterized them as traitors and agents of foreign powers. Perón maintained the institutions of democratic rule, but subverted freedoms through such actions as nationalizing the broadcasting system, centralizing the unions under his control, and monopolizing the supply of newspaper print. 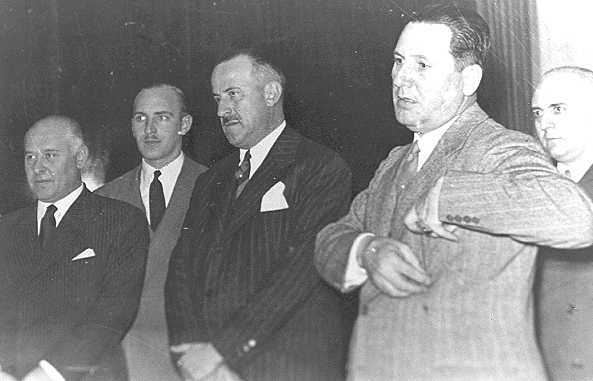 At times, Perón also resorted to tactics such as illegally imprisoning opposition politicians and journalists, including Radical Civic Union leader Ricardo Balbin, and shutting down opposition papers, such as La Prensa. Peronismo also lacked a strong interest in matters of foreign policy other than the belief that the political and economic influences of other nations should be kept out of Argentina. On the positive side, his isolationism meant that he opposed participation in foreign wars. Early in his presidency, Perón envisioned Argentina’s role as a model for other countries in Latin America and beyond. Such ideas were ultimately abandoned. Despite his oppositional rhetoric, Perón frequently sought cooperation with the United States government on various issues. Dictatorships breed oppression, dictatorships breed servility, dictatorships breed cruelty; more loathsome still is the fact that they breed idiocy. Bellboys babbling orders, portraits of caudillos, prearranged cheers or insults, walls covered with names, unanimous ceremonies, mere discipline usurping the place of clear thinking… Fighting these sad monotonies is one of the duties of a writer. Need I remind readers of Martín Fierro or Don Segundo that individualism is an old Argentine virtue. Perón’s ideology was economic and political in character and did not have the racism of Nazi Germany, though he was sympathetic to the Nazi government in some respects. Peronismo did not have anti-Semitic or other racial biases. The Jewish Virtual Library writes that while Juan Perón had sympathized with the Axis powers, “Perón also expressed sympathy for Jewish rights and established diplomatic relations with Israel in 1949. Since then, more than 45,000 Jews have immigrated to Israel from Argentina.” In the book Inside Argentina from Perón to Menem author Laurence Levine, former president of the US–Argentine Chamber of Commerce, writes: “although anti-Semitism existed in Argentina, Perón’s own views and his political associations were not anti-Semitic”. While Perón allowed many Nazi criminals to take refuge in Argentina, he also attracted many Jewish immigrants. Argentina has a Jewish population of over 200,000 citizens, the largest in Latin America and one of the largest in the world. 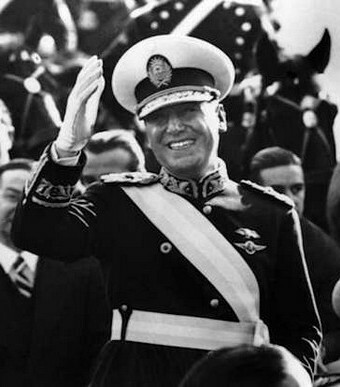 In the final analysis I have to say that Peronismo is very difficult to understand, partly because of the complex character of Perón himself, and partly because of the shifting sands of Argentina’s political landscape. Ask 1,000 Argentinos for a definition of Peronismo and you will get 1,000 answers. In theory Peronismo embraces social justice, but not often in practice. On the surface Argentina is not a racist country but under the surface there are problems, particularly with the indigenous populations (especially in the north), occasional violence against Jews (who have a complex love/hate relationship with Israel), and a largely unspoken history of genocide against Afro-Argentinos. Any black people you see on the streets of Buenos Aires nowadays are almost certainly new immigrants from West Africa. Argentina is a nation of immigrants, and unlike the U.S., for example, is not ambivalent about new immigration. Buenos Aires has well established neighborhoods for Chinese and Korean immigrants who peacefully co-exist with the rest of the population. The cuisine reflects this multiculturalism, particularly when it comes to restaurant food. The Italian influence is obvious there. 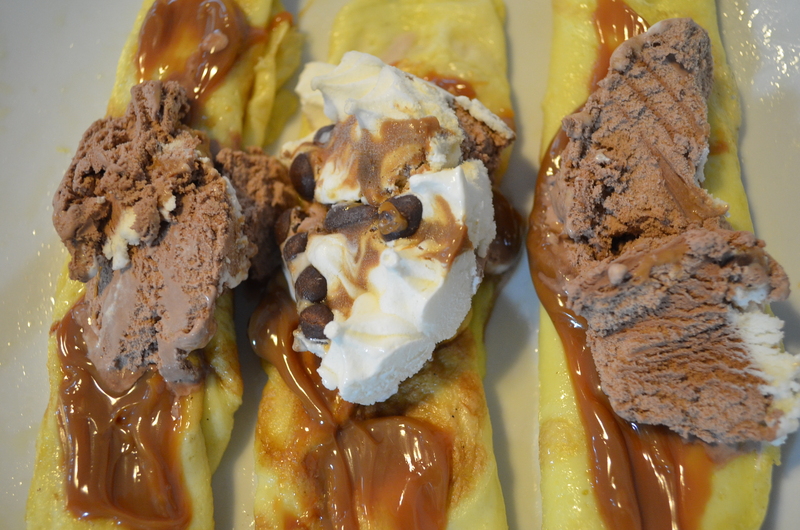 All Italian dishes, notably pizza and pasta, have an Argentine twist, such as the heavy, and very popular combination of ravioli with beef stew or estofado. Vitel tonné (vitello tonnato in Italian) is of Italian Piedmontese origin, very popular at Christmas Eve meals in Buenos Aires. 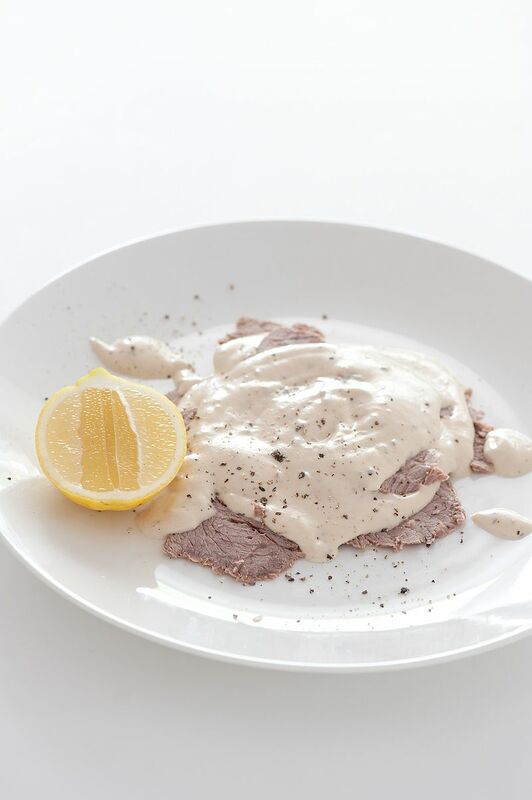 It is a dish of cold, sliced veal covered with a creamy, mayonnaise-like sauce that has been flavored with tuna. It is served chilled or at room temperature, and is considered very elegant. It is prepared at least a day (or more) in advance by braising or simmering a piece of veal from the back leg, which is then cut into thin slices. For the sauce, originally fresh white tuna (in most cases now canned tuna is used to reduce cost and preparation time) is simmered until fully cooked in white wine, cider vinegar, white onion, and garlic, and then puréed with a mix of olive oil and egg yolks in an electric blender or food processor to form a thick mayonnaise. For the mayonnaise a variety of seasonings can be used, including anchovies, cayenne pepper and lemon juice. The thick, smooth purée is then somewhat thinned with a little water and cooking liquid from the veal and a few capers are stirred in. Some of the sauce is spread out on a serving platter and the cold slices of veal are arranged in a single layer on top. The rest of the sauce is then poured over the veal so that it is, completely covered. The dish is allowed to refrigerate for a period up to 5 days to fully develop the flavor.